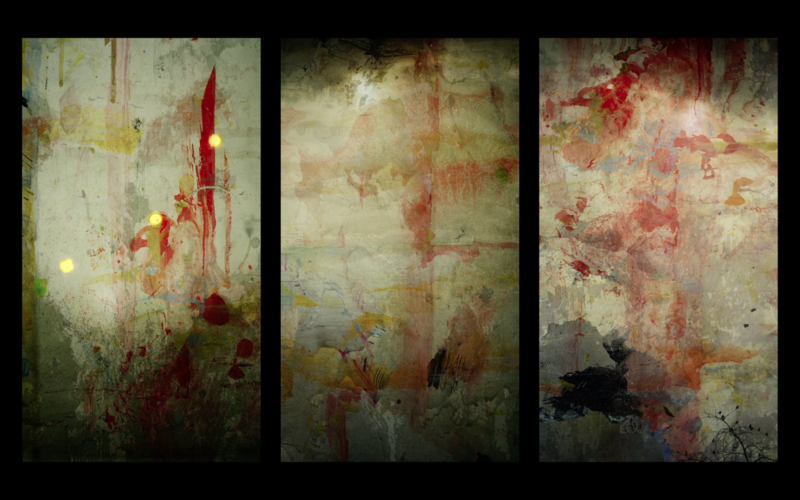 Interval Two is a silent video triptych made of three 55” flat panel displays installed vertically. Much of my recent work has dealt primarily with unexpected outcomes of human activity. 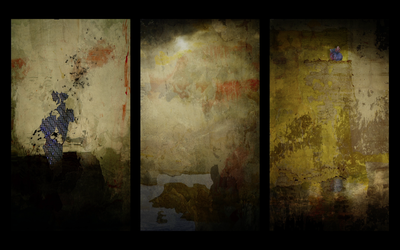 Notions of liminality enter into this inquiry. I am always looking for and attempting to evince between-states, where juxtapositions of figure and ground conspire with states of transition to suggest a coming-into-being or a dematerialization taking place. 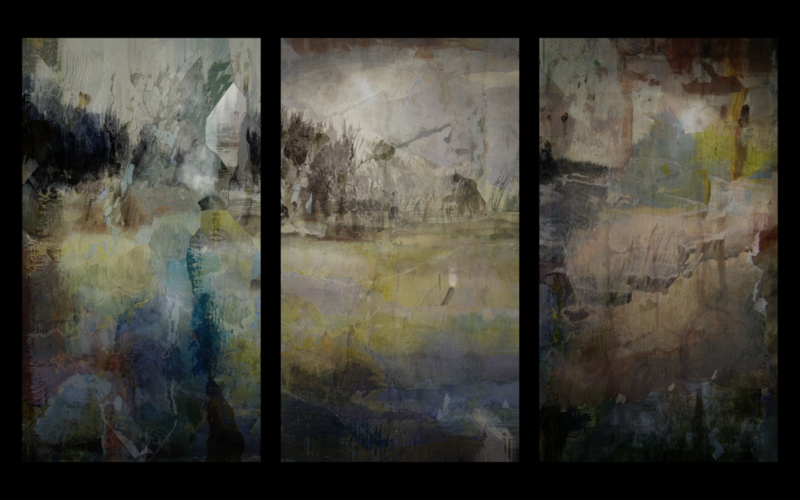 In this photo-based work, comprised of seven slow-moving tableaux, the photographs are initially arranged linearly as image sequences in compositing software and processed several times (using randomizing algorithms) to create short animations. I then sift through these animated bits frame by frame until I find a still frame that contains the collisions of shape, texture and color that I am looking for. 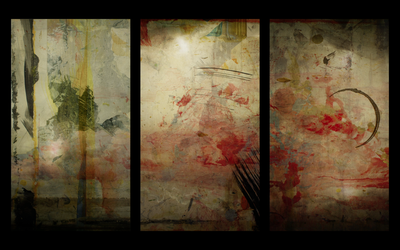 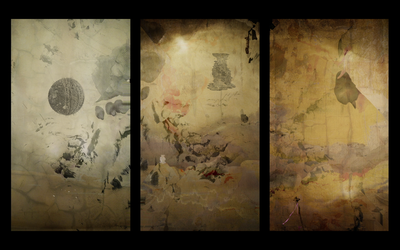 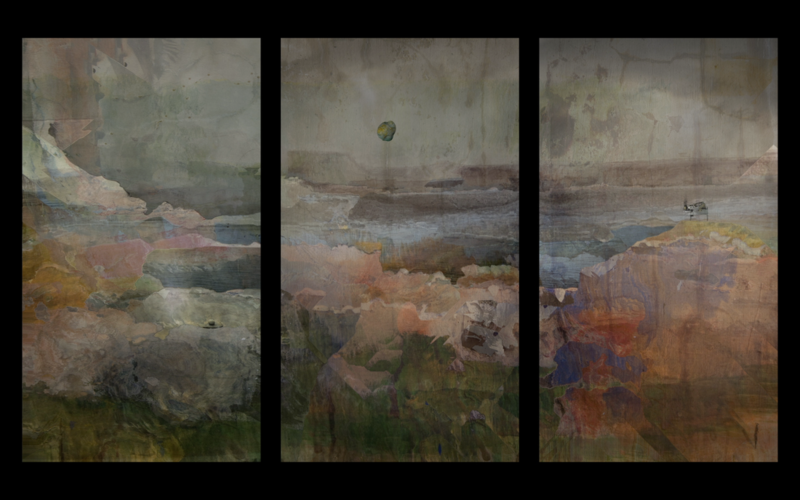 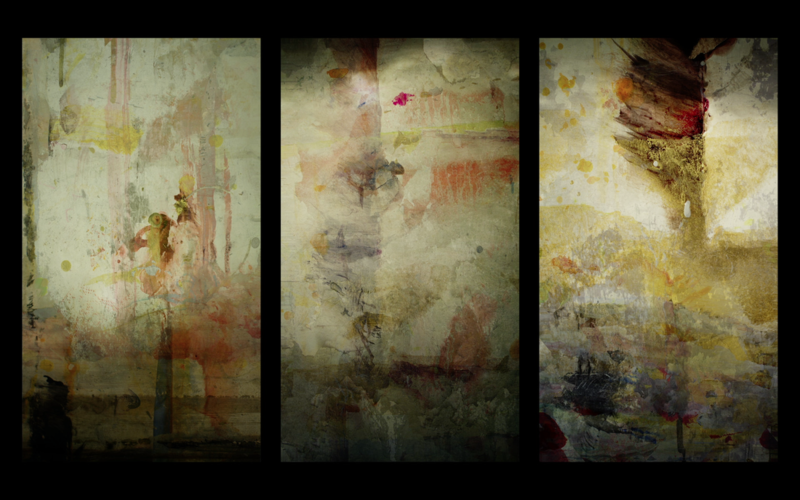 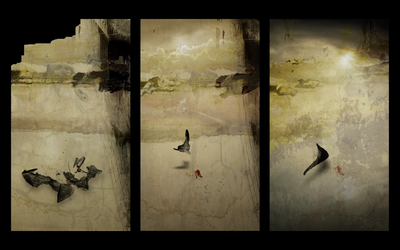 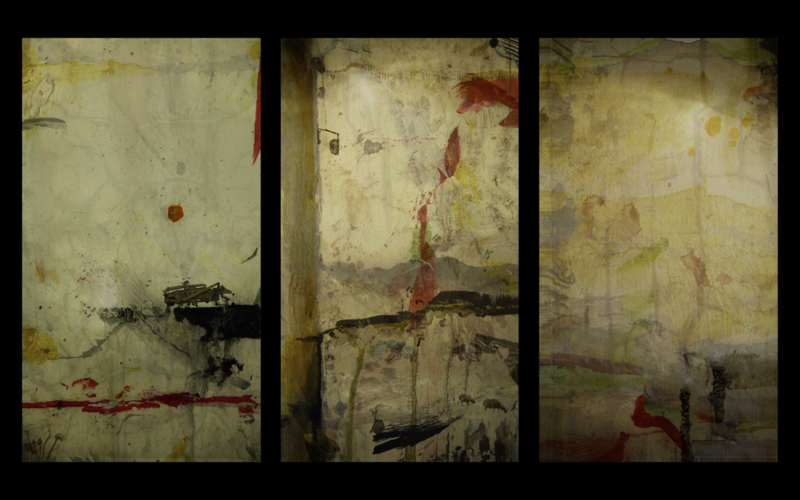 Using various compositing techniques, digital video elements of water, found objects and atmosphere are then collaged into each background to bring it and the entire triptych back to life, so to speak… and to give each tableau its haecceity.